If you're one of the iOS 11 Firmware running device users who have recently Upgraded to iOS 11.4.1 Latest from iOS 11.3.1 Older firmware version, and now wants to Revert Back to iOS 11.3.1 from iOS 11.4.1 after uninstalling iOS 11.4.1 firmware on iPhone, iPad, and iPod touch devices, then you can follow this tutorial and guide on How to Uninstall iOS 11.4.1 and Downgrade iOS 11.4.1 to iOS 11.3.1 using iTunes software on Mac and Windows. Apple iOS 11.4.1 Downgrade and iOS 11.4.1 Restore method is quite easy for any beginners and newbies, and there's no technical knowledge is requiring for this. So let's get started. 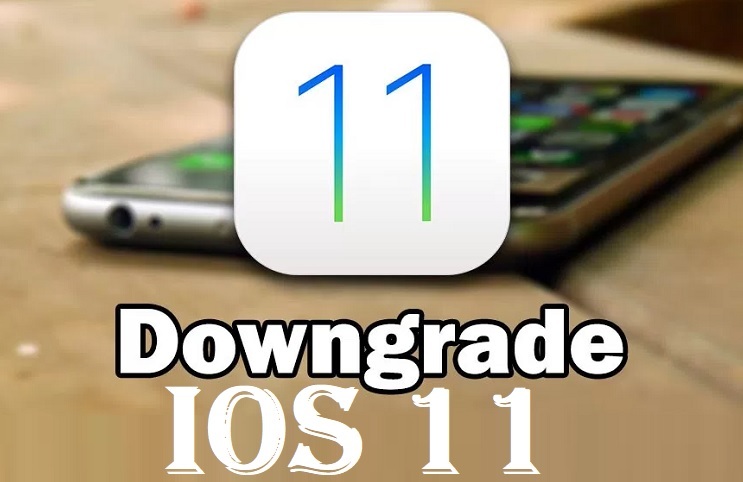 The main reason behind iOS 11.4.1 Downgrading is to Regain iOS Jailbreak and Cydia Tweaks and Apps, if available for any iOS 11.4.1 version currently or it's going to be available in future from iOS-Jailbreak community, and the other reason for iOS 11.4.1 Uninstalling could be the lack of expected performance, data corruption, or any security related issues and problems. Apple iPhone X, iPhone 8, iPhone 8 Plus, iPhone 7, iPhone 7 Plus, iPhone 6S, iPhone 6S Plus, iPhone 6, iPhone 6 Plus, iPhone SE, iPhone 5S, iPod Touch 6G, iPad Mini 4, iPad Mini 3, iPad Mini 2, 12.9-inch iPad Pro 2G, 12.9-inch iPad Pro 1G, 10.5-inch iPad Pro, 9.7-inch iPad Pro, iPad Air 2, iPad Air, and iPad 5G device users can apply this working method on any iOS 11.4.1 Beta and iOS 11.4.1 Final released firmware version with iTunes on macOS and Windows operating systems without any problem. Get the complete backup of your iOS device data to avoid any data loss while restoring. Ensure to click on Restore button on iTunes, instead of Update button for downgrading. Disable all Passwords, Passcodes, and Find My iPhone related security checks. How to Downgrade iOS 11.4.1 to iOS 11.3.1 with iTunes? Step 1: First you need to free download iOS 11.3.1.ipsw file via above direct links. 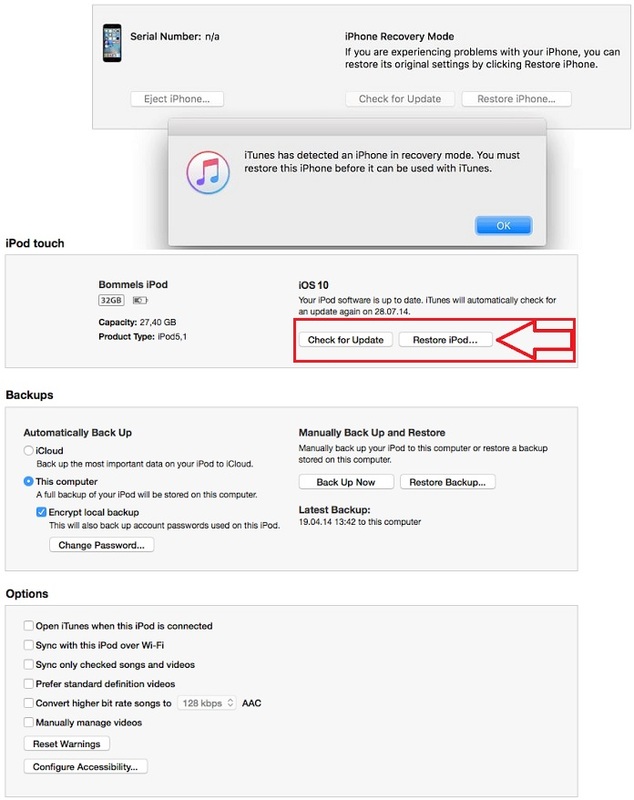 Step 2: Open iTunes software on your computer or laptop, and connect your iPhone, iPad, or iPod touch using data cable with your PC. Step 3: Now put your Apple iDevice into DFU Mode also called "Recovery Mode". To do this, simply press and hold "Power" button and "Home" button together for 15 seconds, and then first release the power button but keep pressing the home button. On iPhone 8, iPhone 8 Plus, iPhone 7 Plus or iPhone 7, "Volume Down" button must be pressed instead of "Home" button. Step 4: Now iTunes software will display the notification about iOS device getting into DFU Mode like "iTunes has detected an iPhone in recovery mode". Step 6: Now navigate and open your downloaded iOS.ipsw file (Step 1), and iTunes will begin the whole iOS 11.4.1 Downgrade process itself. Congratulations!! You're done.